I would like to share with you my reflections on the tremendously tumultuous period my family and I experienced last week. 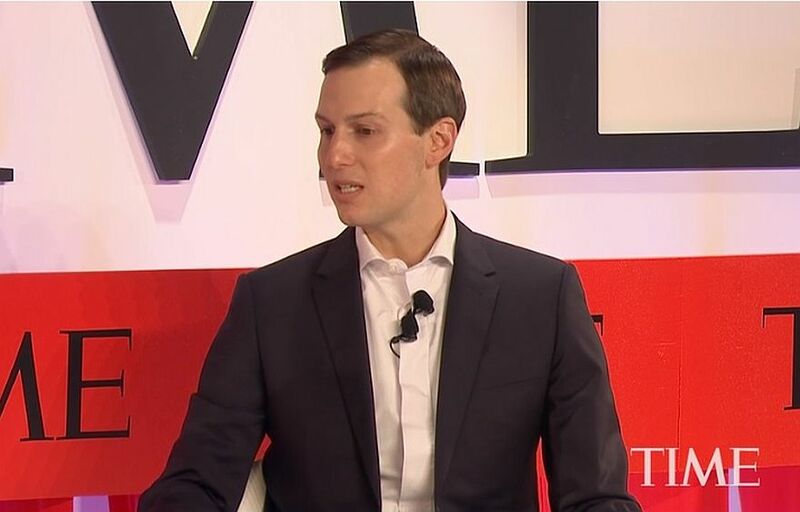 It was marked by two extremes: the death of our three-day-old grandson at the hands of murderous Arab terrorists and the absolutely miraculous survival of our daughter Shira from the same attack. Shira’s husband Amichai Ish-Ran was also wounded in the shooting – surviving three bullets to his leg. Paying no heed to his own condition, he helped save Shira’s life by stopping her heavy bleeding with his hands. A Magen David Adom ambulance medic named Betzalel Ben-Hamu, with Shira’s cooperation – even as she fought off unconsciousness – also facilitated the miracle. I can tell you that at this beautiful couple’s wedding just nine months ago, our happiness was overwhelming. And soon after, what joy we felt when we heard of Shira’s pregnancy – a first child, a first grandchild, a first great-grandchild. As the months passed, the anticipation mounted. On the 8th night of Chanukah, the day after spending a beautiful Shabbat in our home, they kindled the holiday lights at the home of Amichai’s parents in Jerusalem. The happy couple then started out for their home in the blossoming Shomron community of Elon Moreh, in the heartland of Israel, innocently waiting for a ride at the bus stop outside Ofrah. “Be comforted, Shira and Amichai, by the enormous amount of good your little son, Amiad Yisrael, was able to do in his minuscule lifetime. He united the entire nation of Israel, here at home and around the world, which enlisted and gave its all, in prayer, in embracing, in study – and in love. In his merit, myriads of Jews studied Torah, prayed, and performed acts of love and kindness. I can say now that our little grandson performed yet another mitzvah by virtue of his very existence: Simply put, he helped save his mother’s life. 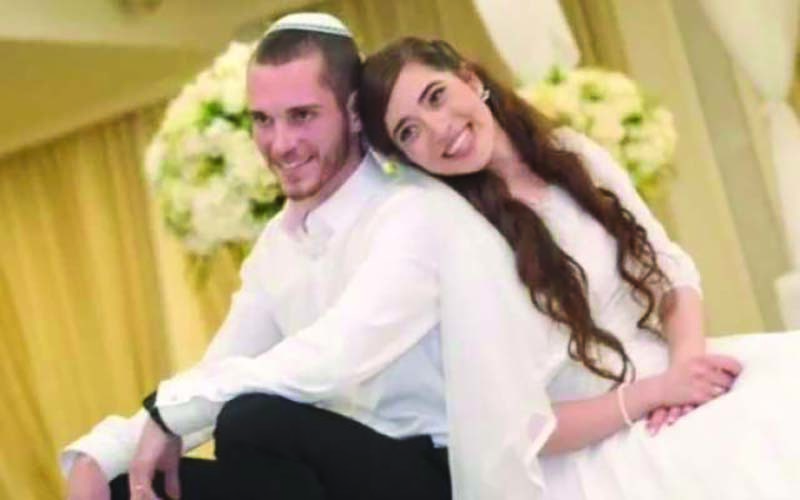 Because of the pregnancy, Shira’s bloodstream contained an extra 1.5 liters of blood – and when the bullet severed her so-critical femoral artery, she had this all-important reserve supply to impede what appeared to be leading to a fatal hemorrhage. The day following the funeral, we were excited to learn that Shira was being released from the Intensive Care Unit to a regular ward. She still has a long road ahead of her, but we are so thankful to G-d for every bit of progress she makes. Here I must say: Our families are strong in our faith, and we believe that G-d specifically gave us this particular test with Divine Providence, and we accept it with pain and with love. Let me emphasize: The bloodthirsty Arab murderers will not deter us! We know that we will prevail – for our cause is more just than theirs, we are stronger than they are, and we belong to this Land more than they do! We are imbued with faith and trust in the Rock of Israel and in His Providence over the nation of Israel; our path is right and just! My wife Liora said, “Our government must know: It is truly unthinkable that sweet, innocent children are shot at with impunity. We cannot accept such a situation.” It is our feeling and demand that these attacks mark a turning point in Israel’s policy towards Palestinian terrorism. I admire and respect you as a man to whom the security of the People and State of Israel is very precious. I would like to ask you: Will our first grandson, Amiad Yisrael, may G-d avenge his blood, who was given only three days to live, and who spent those days attached to machines in the hospital – the grandchild whose life was so cruelly chopped down by lowly murderers even before he could open his eyes or breathe natural air – will this precious little baby, Amiad Yisrael, remain just a statistic!? Will he be nothing more than just another line in the list of sacrifices that we have had to offer in our struggle for our Nation and our Land? Will our grandson, and all the other victims, including the two soldiers whose lives were stolen away today, and those who were wounded at the same time – will they remain without a memorial? Will the security of our brothers and sisters be neglected just to advance yet another process, or to sign another meaningless paper at the behest of some government in some far-away friendly, or not so friendly, country? Or, instead, will justice be served? Will meaningful military actions be taken to protect our security? Will measures be taken to develop the heartland of our holy and precious Eretz Yisrael? Mr. Prime Minister: I ask and demand, in the name of my grandson whose blood cries out from his fresh grave on the Mt. of Olives in our united capital: Take firm and effective action to prevent the next attacks and to restore deterrence! Continue to pursue the terrorists, and those who dispatch them – but more strongly and more punitively, pulling no stops! Take off the gloves! A new Jewish town or neighborhood must be built, named after the baby Amiad Yisrael Ish-Ran. This murdered baby now belongs to us all. He gave his life for the nation, the Torah, and the Land – even before he had a chance to breathe on his own! Mr. Prime Minister: Enough Jewish blood has been spilt! Our wonderful IDF has been restrained for too long! You are our prime minister and our defense minister – take action! A citizen in mourning but imbued with strength and faith in the justness of our way, Chaim Silberstein, in the name of my wife Liora, our daughter Shira, and our son-in-law Amichai, and all our families. Chazak chazak v’nitchazek – May we be strong and ever strengthened! Previous articleSecurity Cooperation or Justice? The writer, a long-time resident of Beit El, is president of Keep Jerusalem-Im Eshkachech and the Jerusalem Capital Development Fund. He invites you to participate in KeepJerusalem bus tours in eastern and northern Jerusalem. For more information, e-mail info@keepjerusalem.org.